The Yamaha P-515 88-Key Digital Piano is the flagship in the P-series. Its advanced sound quality, features and design make this an ideal digital piano for players of all levels. For those who wish to take their piano with them to play outside of the home, the portable and slim design makes this a great choice. Play through the built-in speaker system in smaller venues, or take advantage of the 1/4" aux line outputs to connect with an external amplification system. For those who want to keep it at home, optional matching furniture stand (L515) and piano-style triple-pedal (LP1) accessories are available. Whether at home or on the road, the Smart Pianist app for iOS devices makes selecting Voices and changing settings even easier. The app will even analyze songs in your iOS device's music library and display a chord chart so that you can play along with recordings by your favorite artists. 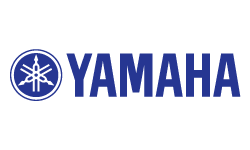 - Yamaha CFX and B•sendorfer Imperial piano samples bring two of the world's finest and most prominent concert grand pianos to your fingertips. - Virtual Resonance Modeling (VRM) allows for vivid and richly-varied expression to reflect the limitless number of factors that create the sound of a concert grand piano. - NWX (Natural Wood X) keyboard action with escapement and synthetic ebony & ivory keytops utilize specially dried wood that was specifically chosen to give you the same response and feel as that of a grand piano keyboard. - Key-off samples deliver the delicate change in sound the instant the damper falls back to the string. - Smooth Release provides a quick, crisp release on fast note-offs and a gently decaying release for slow note-offs. - Full Dot LCD Display allows for smooth navigation of the instrument's features and functions. Available until 11 PM (EST) today. Mention special code 206-5MJW when you call.